Home Exotics Best Rodent Pet – Your Top 10 Tiny Cuties! 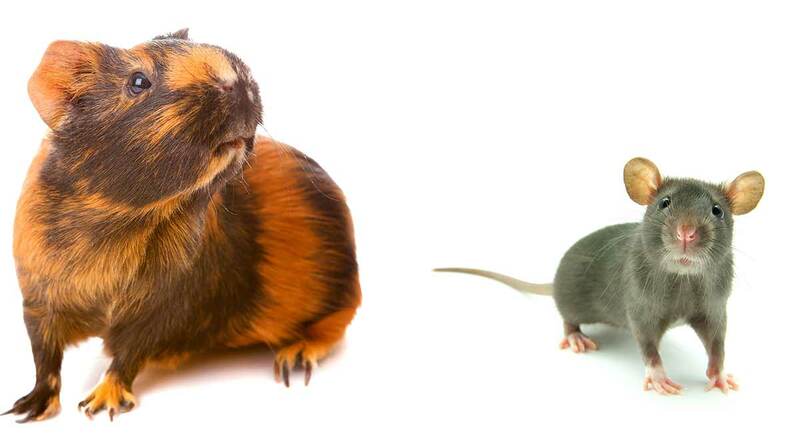 Choosing the best rodent pet can be challenging, with so many wonderful and cute small mammals to choose from! After all, who wouldn’t want to have an adorable chipmunk or a tiny hamster to come home to every day? 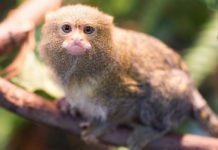 While these small “pocket pets” can seem quite similar at first, they actually have really different personalities, habits and needs! These can be especially important to consider if you are choosing a new pet for a family including small children. What is the best rodent pet? The best rodent pet will depend a lot upon who is bringing it home! Our top ten include guinea pigs, dwarf hamsters, Syrian hamsters, dumbo rats, fancy rats, chinchillas, mice, gerbils, degu and chipmunks. Let’s find out which one is right for you! In this article, we take a look at the pros and cons in this top 10 pet rodents list so you can pick the best rodent pet for your family! When you are choosing a rodent pet, don’t forget to pick the creature with the best temperament and health to suit your family. Consider the ages of the children in your family, and how much time you have to spend caring for a pet. Guinea pigs are one of the largest of the different types of rodent pets. Many veterinarians feel guinea pigs are also perhaps the best rodents to have as a pet because of their long history of living happily side by side with human carers. Unlike some of the rodent pets you will meet here, guinea pigs are also active during the daytime hours, which can be fun for young family members with early bedtimes. One particularly cute aspect of guinea pigs is that they can actually be quite vocal! Guinea pigs really crave the company of another guinea pig, and this will not affect your ability to bond with your pet guinea pig as well. For your guinea pig’s health and happiness, it is always best to bring home a same-gender pair rather than a single pig. Dwarf hamsters make for adorably cute rodent pets. All hamsters are super cute but dwarf hamsters are really, really small. This can make them difficult to handle and impossible to catch if they escape! Dwarf hamsters, like their larger Syrian cousins, tend to wake up and get going after sundown. This makes them the ideal pet for families where everyone is out of the house during the day and home at night. Because of their extremely small size, dwarf hamsters do best with minimal handling. Syrian hamsters are an enduringly popular pet rodent choice. But there is one thing you need to know up front – you can’t keep two Syrian hamsters together. These little rodent pets definitely need to be housed individually or they will fight. Syrian hamsters, like their smaller cousins the dwarf hamsters, tend to be most active after sundown. This can be a plus if your family is gone during the day, since these little pets tend to sleep the day away. 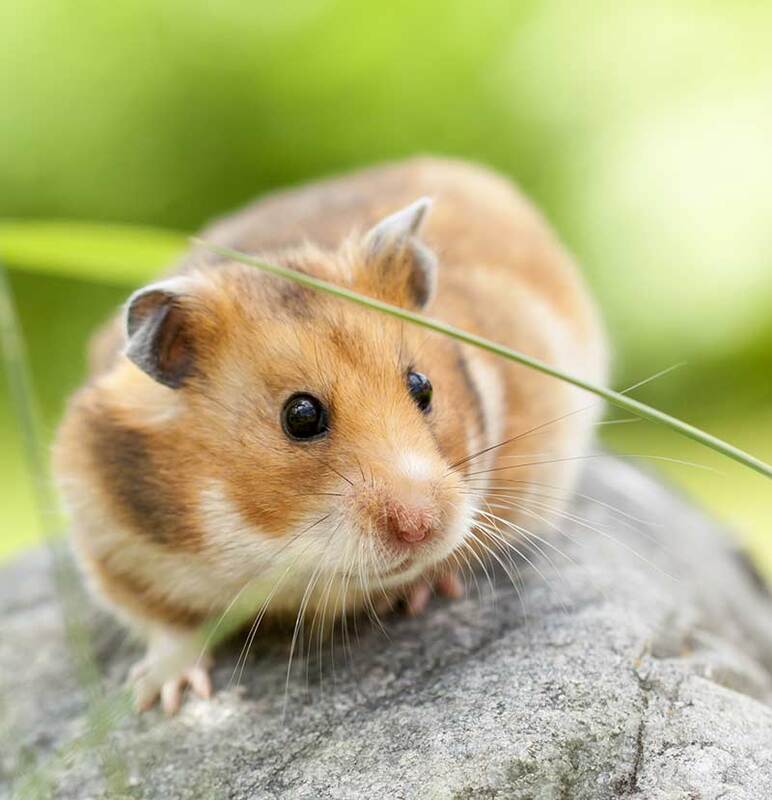 Syrian hamsters, being somewhat larger and sturdier than their dwarf cousins, can tolerate more handling with a lower risk of escape. However, less handling is still optimal to avoid provoking anxiety in these very small rodent pets. A Dumbo rat can be an excellent choice for the best rodent pet for your family! These adorable rats have larger ears that are set lower on their heads, evoking the image of the elephant by the same name (which is also how they got their name). One interesting fact about Dumbo rats is that they are identical with non-Dumbo rats in every way except for their larger ears (they have a recessive gene mutation to thank for this). Dumbo rats are every bit as smart, social and interactive as non-Dumbo rats and they also do best when housed in same-gender pairs or groups. 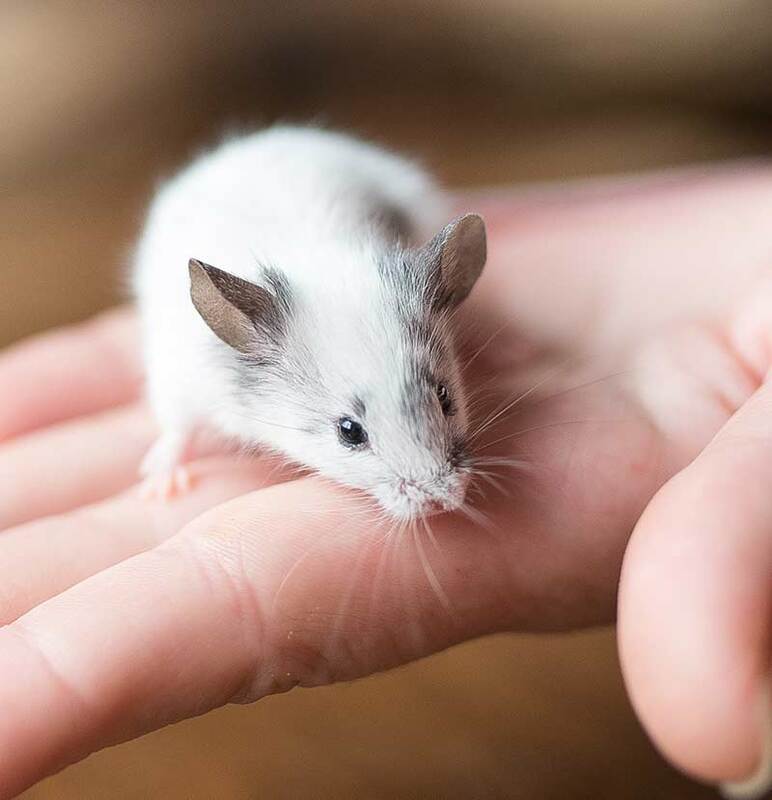 If you are buying a rodent pet in hopes of being able to be hands-on, the Dumbo rat or regular rat are optimal pet choices. 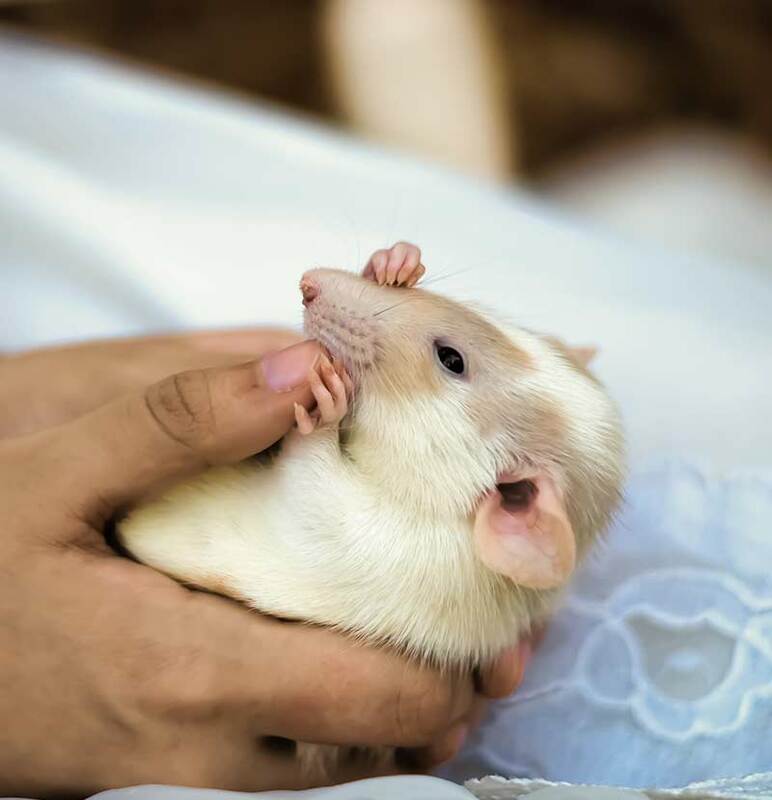 Rats may have gotten a bad rap over the years, but the truth is, rats are one of the hands-down best rodent pet choices you can make! Rats are smart, social, sensitive, and empathetic towards cage mates and even strange rats. Rats have a long history of living and working with people (unfortunately, this is where they get one of their many nicknames, the “lab rat”) so they tend to be very docile and easy to handle. Plus, they are larger than many small rodents and thus are also sturdier. This can make rats an awesome pet for younger kids. One of the coolest things about pet rats is that they are really smart! Rats can be trained to do tricks and even use the litter box just like cats! Chinchillas are generally considered more suitable for experienced rodent pet owners. Chinchillas are very sensitive to extreme temperatures and can die if it gets too hot, too cold or too humid. They also need daily dust baths and lots of timothy hay to keep their continuously growing teeth filed down. 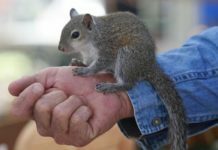 These furry cuties are generally docile and friendly and will not bite when handled gently. However, they may not be the ideal “first pet” for very young children for this same reason. 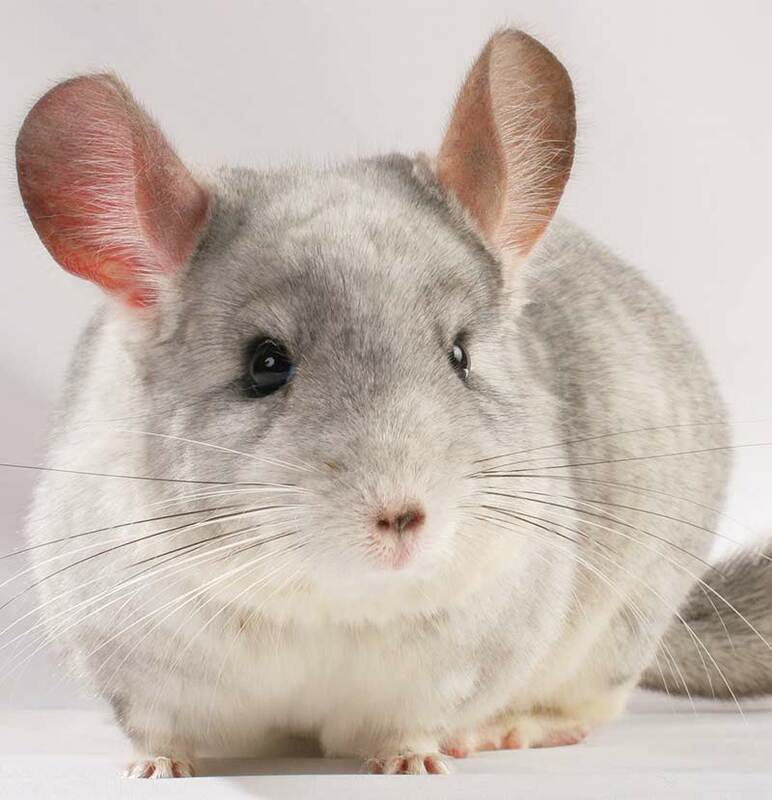 One really neat thing about choosing a Chinchilla for your pet is that they can live a lot longer than the average rodent – up to 12 or even 15 years! However, this long lifespan may be a detriment if you are not aware of it beforehand. You will be making a much longer-term commitment to care for a Chinchilla pet. Mice can make excellent rodent pets, but they do tend to be a bit more anxious than rats. Plus, they are smaller and require a more delicate touch when handling, which should be kept to a minimum since too much handling can make them even more nervous. Female mice can be kept in same-gender pairs but male mice should be housed alone unless they are littermates. Be careful to determine the gender of cage mates if you don’t want to end up with lots of baby mice! 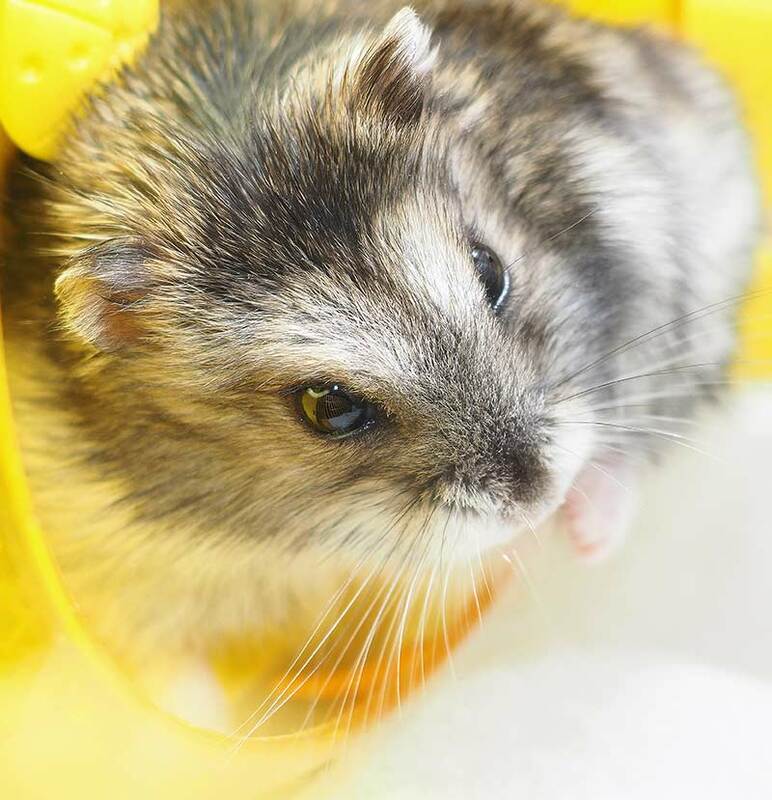 The gerbil is one of the best small rodent pet choices for first-time pet owners. 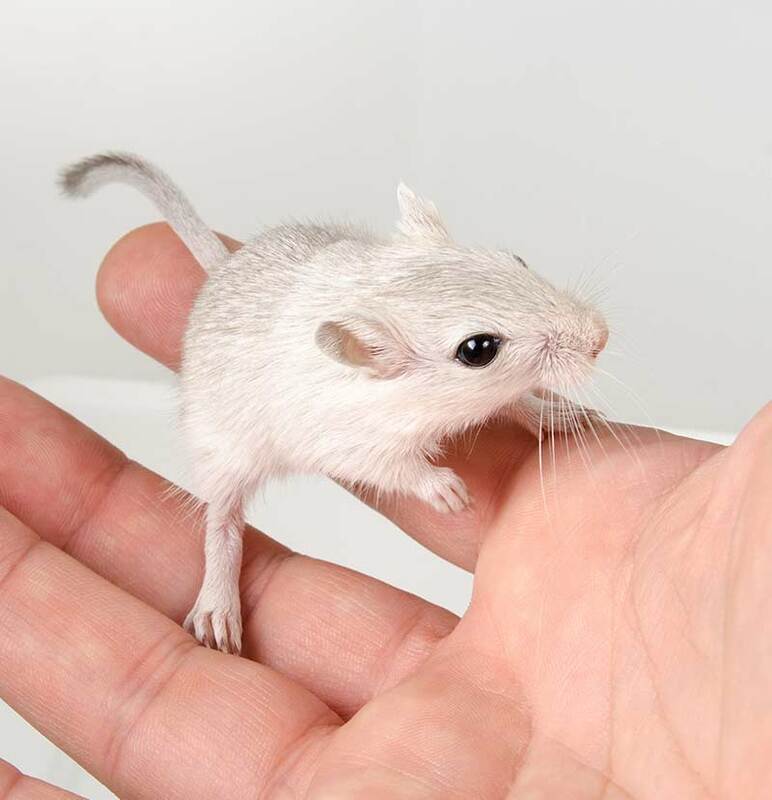 If you handle gerbils daily in a gentle way, they can be quickly socialized to people. Unlike most hamsters, gerbils also enjoy being housed with other gerbils. It can be really fun to watch them interact and play together. If you do bring home multiple gerbils, however, just be careful to choose same-gender gerbils. Or you may wake up one day to lots of baby gerbils – surprise! 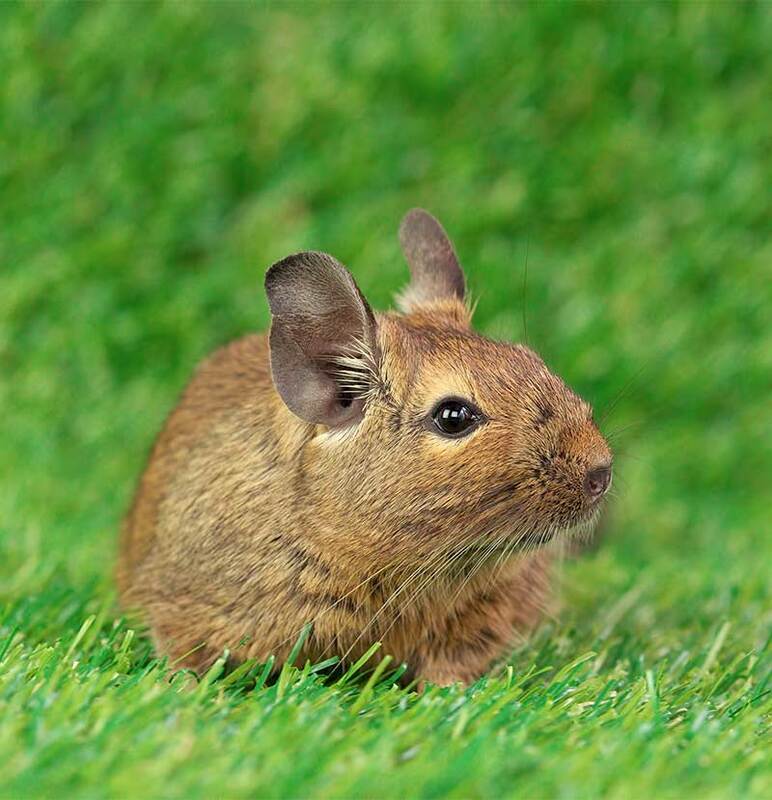 Degus represent a spectrum of uncommon rodent pets that are just now starting to catch on in the pet industry. These little guys look like particularly plump and adorable mice. Genetically speaking, though, they are actually cousins of chinchillas and guinea pigs. Degus have a strong need to be housed with other degus even if you are bringing one home as a pet. Be sure you pick two of the same gender if you don’t want little Degus! 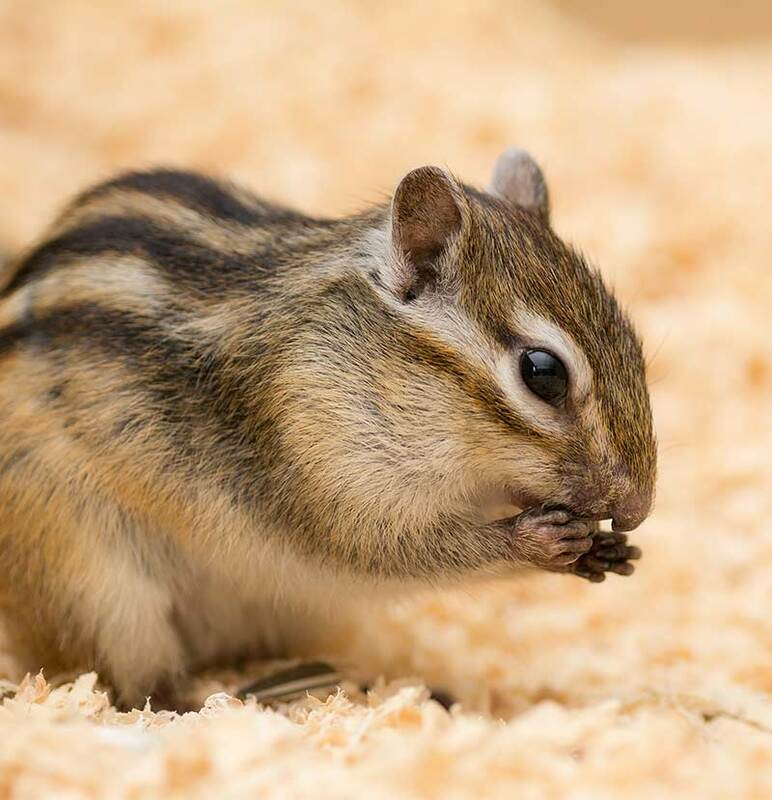 Chipmunks don’t always even make the consideration list for rodents you can have as pets simply because many people don’t even realize they can be pets! Chipmunk pets are very active and intriguing to observe, but they will really do best if you keep handling to a minimum. We hope you have learned what you need to know about each of these small rodent pets to make the decision about which rodent makes the best pet for your family! Just remember to look at the dynamics of your household and what will work for all of you when you are choosing the best rodent to have as a pet! Topper, M. et al (2018). Selecting a pet rodent. American Veterinary Medical Association. Underwood, E. (2015). 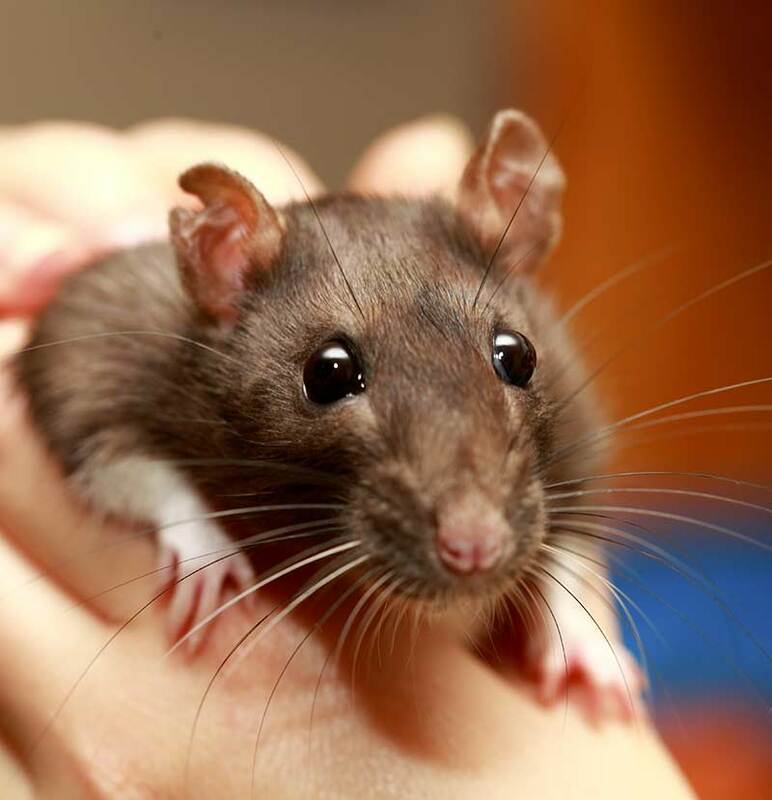 Rats forsake chocolate to save a drowning companion. Science Magazine. Hoppes, S. (2010). Small Rodents as pets. Texas A&M Veterinary Medicine & Biomedical Sciences. French, J., DVM, et al (2018). Rodents. Cape Ann Veterinary Hospital. Axelson, R. (2011). Owning a pet rat. VCA Animal Hospitals. Stanzione, G. et al (2017). 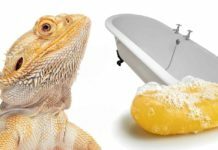 5 exotic pets that are legal AND easy to care for. United Veterinary Center. Previous articleBest Pet Carrier – How to Transport Your Pet Safely!